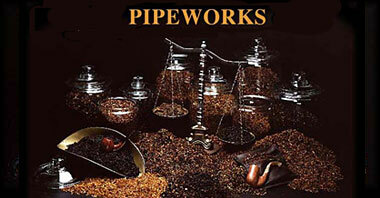 Pipeworks & Wilke repairs and refurbishes any make briar or meerschaum pipe. Most repairs are sent to the foremost repair person in the states. I do all the refurbishing of pipes here. To send your pipes in for repair, simply take the stem apart from the bowl and cushion them in paper or bubble wrap. Place in a box or padded envelope, include specific instructions as to what you want done to the pipe/s. Also include your name, address, phone number/email address and credit card information unless I already have it on file. Repairs that need to be sent out usually take about 4-6 weeks from when they leave here. Repairs need to be batched, so often I must wait until there are enough repairs to send and that time frame varies. One final thing, please, please empty the bowls of tobacco and ash before packaging them for shipment. It will be greatly appreciated. Repair costs vary quite a bit. The following will give you an idea of the rates. You can always call me with specific questions. Other repairs available include; bands, shank replacement or re-attachment, tenon replacement which allows you to keep the original logo stem if it is in good condition. I am amazed at how beautifully my pipes have been rehabilitated. I never expected such craftmanship nor how faithfully the original stems were replicated and matched to the polished bowls. Please congratulate your pipe repair person for me.